Kali S. Grech knew her passion and calling to practice Marijuana Defense at a young age. She worked hard to realize her dream and now enjoys her work, and successes, immensely. 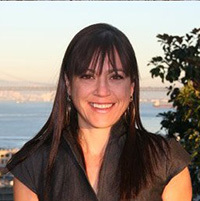 Kali earned her JD from the University of San Francisco School of Law in 2005, and thereafter, spent time working as a public defender and as an associate attorney at a criminal defense firm, where she represented a vast array of clients in a wide range of criminal cases. Kali received the honor of opening her own practice, at the legendary Pier 5 law offices, in January of 2009. Recently Kali opened her own marijuana defense firm: Green Street Law Group, located in San Francisco, Ca. She is honored and humbled to be working with a team that shares her vigor and boundless passion for justice, and she looks forward to achieving even greater success for her clients.Kali specializes in marijuana cases, medical marijuana affirmative defense cases, and Rastafarian religious defense cases. She has represented clients all over California and the U.S, with great success. She has published numerous chapters in the CEB Manual for attorneys dealing with scientific evidence in drug cases. She also wholeheartedly enjoys her role teaching medical marijuana patients about the law and their rights at Oaksterdam University.